My Makeup and Beauty Vanity: Durga Puja Celebrations: Let the countdown begin with The Nature's Co.
Durga Puja Celebrations: Let the countdown begin with The Nature's Co.
Festivals have always been the reason of happiness and bond factor in India and Durga Puja is one of them. In the East, Durgotsava is celebrated with phenomenal zeal, enthusiasm and fervor. Kolkata-ites enjoy the great carnival in full spirit. Much before the day arrives, people plan for these auspicious days to make them charming. On the tenth day-Dashami, people exchange sweets and gifts among friends and relatives to wish happiness and prosperity. Hence it goes without saying that gifts play an indispensable part in the festival of Durga Puja. 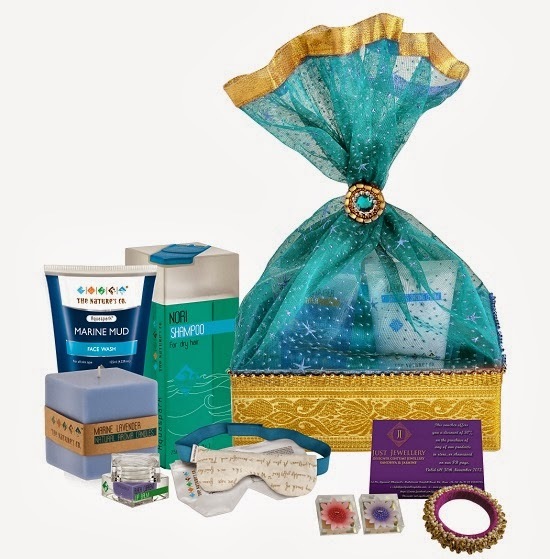 The Nature's Co. on this auspicious time of the year would make one's day momentous by gifting your loved ones dazzling hampers with sparkling freebies. 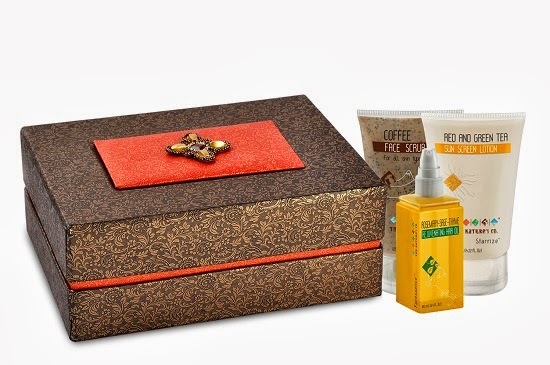 Share Maa Durga's blessings with your near and dear ones, and no better way of doing so is by sending a marvelous package of The Nature's Co. goodies. Shop for Rs. 2495 from the 20th of September to the 9th of October, only at the The Nature's Co. Kolkata store and get an attractive gift hamper, a cute floating candle, Just Jewellery (A designer costume jewellery brand) Bangle / Hairclip & a 30% Discount Voucher. Also one could shop for Rs. 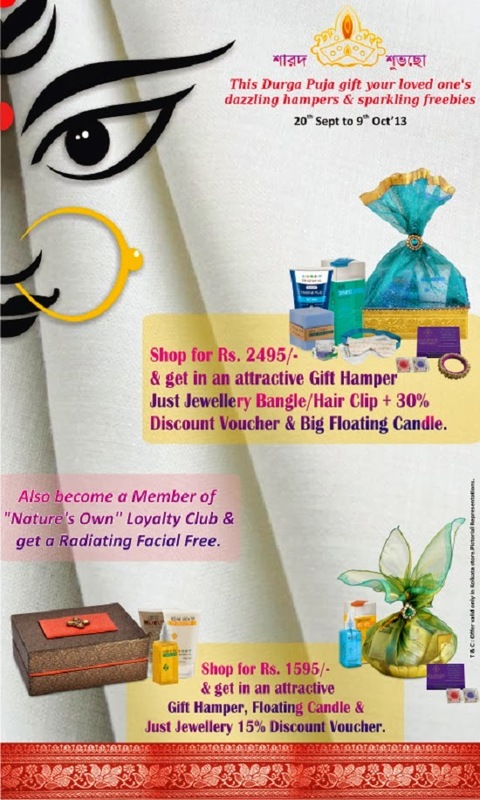 1595 and get an attractive gift hamper, a floating candle and a 15% Discount Voucher from Just Jewellery. 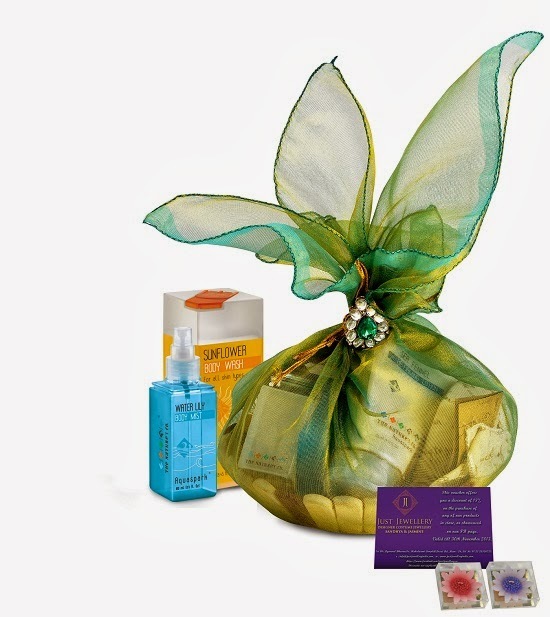 Fabulous Gift Hampers from Natures Co!